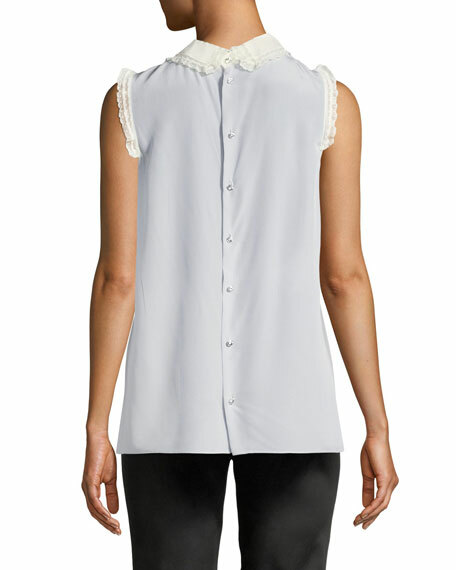 Miu Miu blouse in silk crepe de chine. 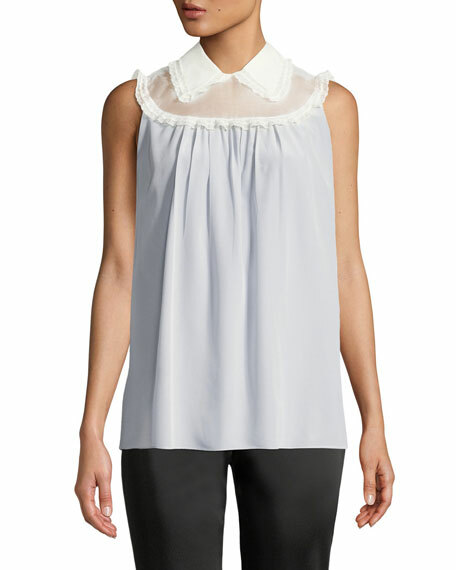 Sheer neckline with lace trim & pleating details. 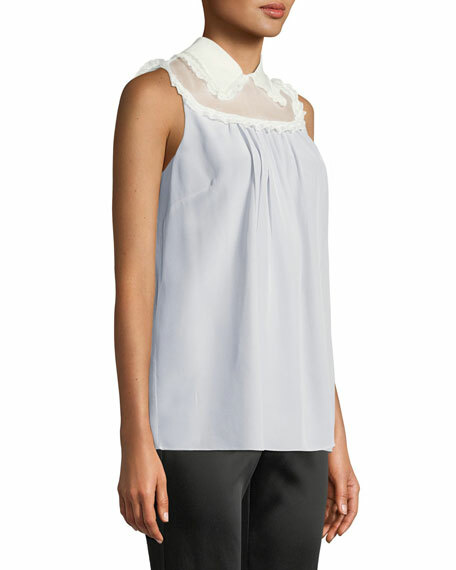 For in-store inquiries, use sku #2630432.